Size: M, Color: Assorted (-) is currently out of stock! 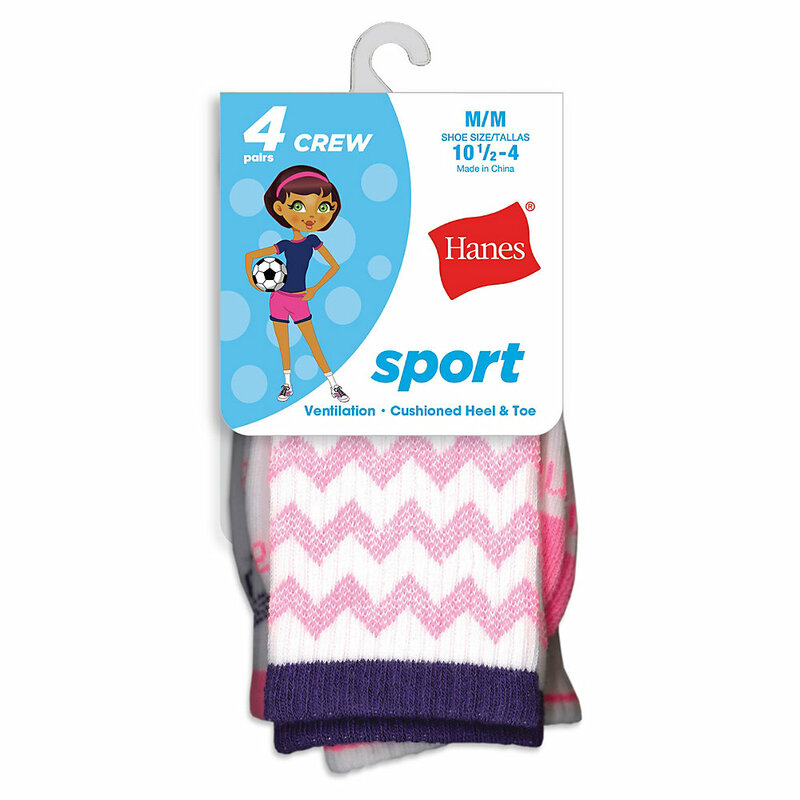 Girls on the go will always go for these sporty crew socks!Breathable fabric to help her feet stay cool.Crew style stays up and hits at mid-calf. 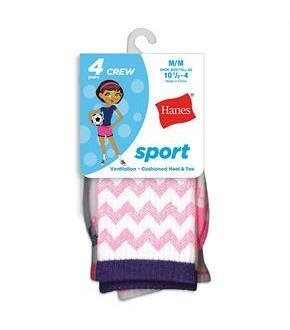 Made with spandex for a better fit.Comfort toe seam, our most comfortable seam ever.Cushioned heel and toe for extra comfort.Assortment available in a convenient 4-pack.